The average life expectancy has increased. Chances are that if you’ve reached 65 years old you will live into your mid-80s according to life expectancy calculations. Many are living even longer—one in four people will live into their 90s, while one in ten will live past 95. Make sure that your retirement plan takes longevity into account so that you don’t run out of money—no matter how long you live. Make sure both you and your spouse are protected from the unexpected. Consider the financial impact of the loss of one spouse, running the numbers both ways. Remember that your surviving spouse will only get the highest of your two Social Security checks, not both checks. NOTE: Be sure to talk with us about Social Security. Recently it was discovered that the Social Security Administration failed to tell widows and widowers how they could receive a higher benefit amount. Longer life expectancy could lead to high costs of a stay in a long-term care facility. The average cost of a semi-private room in a nursing care facility was more than $7,000 per month in 2017, and it’s estimated that approximately 50% of people over 65 will need long-term care. We can help you devise a plan to pay for costs if you do need long-term care, but not overspend on policies that may be subject to drastic premium increases, sudden cancellations or never be needed at all. There are many strategies and new options to consider. A 50% gain does not allow a portfolio to recover from a 50% loss. In fact, a 100% gain is required to restore a 50% loss! Talk to us about how we can help reduce this risk in retirement. The “buy and hold” strategy that works when you are young—where you wait for the markets to come back up after a downturn—does not apply in retirement as we saw in 2008, when many people’s retirements were wiped out. When interest rates* rise, bond prices fall—and vice versa. Duration risk is the name economists give to the risk associated with the sensitivity of a bond’s price to a one percent change in interest rates; the higher a bond’s duration, the greater its sensitivity to interest rate changes. You should plan on prices for food, goods and services getting higher during retirement, reducing your buying power incrementally as you are living on a fixed income. We can help you address inflation* risk in your retirement plan. *Inflation and interest rates are considered by economists to be inversely related. So when inflation—or the cost of goods and services—rises, interest rates go down. Interest rates in the United States are set by the Federal Reserve based on the rate of inflation, which they like to see at 2%. In 2017, the Fed raised interest rates, and has said they will raise them even more in 2018. Surprising to some, Medicare is not free—your premiums for coverage are usually deducted from your Social Security check. And standard Medicare doesn’t cover dental, hearing or vision, is subject to deductibles, and doesn’t cover long-term care. Fidelity’s latest estimate is $275,000 per couple for out-of-pocket healthcare costs in retirement. When people think about retiring, their number one fear is running out of money. That’s why we focus on creating reliable retirement income when we are developing your custom retirement distribution plan. Once you have a retirement plan in place, it’s not set in stone. Things change. 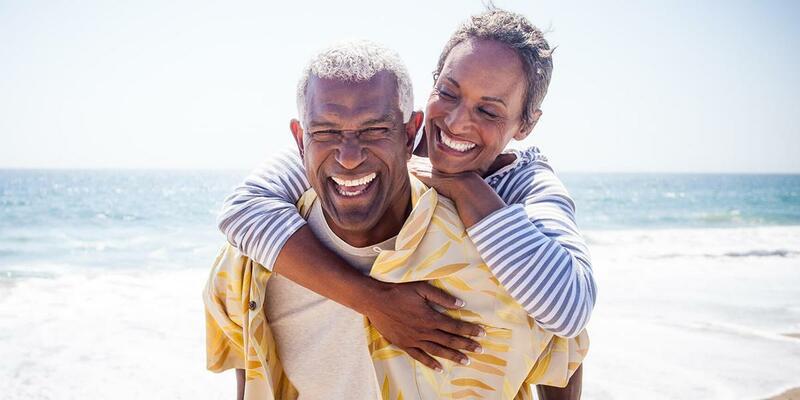 You may add or lose family members, your retirement goals may change, the economic environment may create new considerations, and financial innovations may present new strategies. Once per year is a minimum in terms of making sure your retirement plan (and beneficiaries) are constantly up-to-date. And remember, the tax laws just changed. It’s more important than ever to plan ahead. To speak with an advisor, call Both Hands Financial Group at 615.525.7231 or email us at support@bothhandsfg.com.